George Washington Carver was an amazing man. He was born a slave, orphaned as an infant, didn't walk until he was three because of bad health, coughed so much that he permanently damaged his vocal cords, and stuttered and was made fun of by others. With all these things against him, you would think that George Washington Carver didn't have much chance in life to make something of himself. But George had many more things going for him than against him. The slaveholder family of his mother raised George and his brother as their own. They taught him how to read and the value of hard work. They also taught him how to be thrifty and support and take care of himself at a very young age. He knew how to sew, cook, knit, and crochet. George was exceptional in that he knew how to teach himself through observation, questioning, and experimentation. But the thing that most helped George throughout his life was his faith in God. He became a Christian at the age of twelve. He said he could hear God speaking to him through flowers, rocks, animals, and all other aspects of His creation. When he had a problem or question, he went to God for the answer. 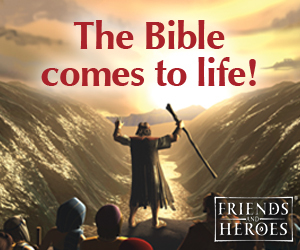 God was his guiding light throughout his life. Helping others was much more important to him than fame and fortune. He lived a life of service and shared his faith with others daily. 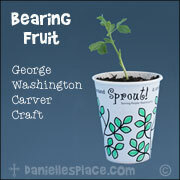 George Washington Carver used his mind and scientific knowledge to benefit others. He is known as the father of synthetics. He created hundreds of products including: adhesives, axle grease, bleach, buttermilk, cheese, chili sauce, creosote, dyes, fuel briquettes, ink, instant Coffee, linoleum, mayonnaise, meat tenderizer, metal polish, shampoo, shoe polish, shaving cream, synthetic marble, synthetic rubber, talcum powder, wood stains, wood filler, and Worcestershire sauce, and many more. Of the hundreds of new and improved products George Washington Carver discovered, he only patented three of them. When asked why he didn't patent more he said that "God gave them to me, how can I sell them to someone else?" He also didn't want to take the time to patent them. He wanted to spend his time discovering even more products instead. After reading about George Washington Carver children glue arms and legs to a peanut shape to make a peanut man that is holding a beaker and wilted plant. 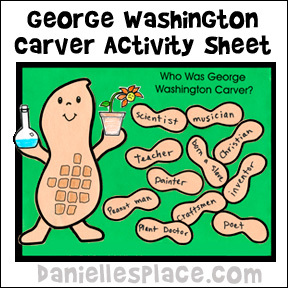 They write different words that describe Carver such as: Scientist, musician, Christian, inventor, teacher, peanut man, plant doctor, poet, etc. 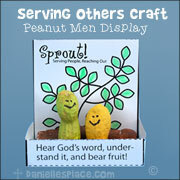 on peanut shapes and glue them to the activity sheet. Quotes from Carver can also be glued to the bottom of the sheet. 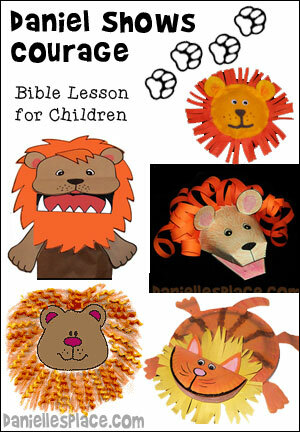 This activity also is available in a color sheet. Children color the picture and write words on the peanut shapes. 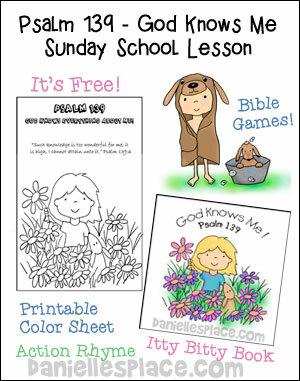 The patterns for this craft including peanut man, peanut shapes, beaker, flower, quotes, and color sheet are available to members only. George Washington Carver didn't have a formal education until he was 12 years old, but he learned so much by observing God's creations that he became known as "the little plant doctor" in his town. 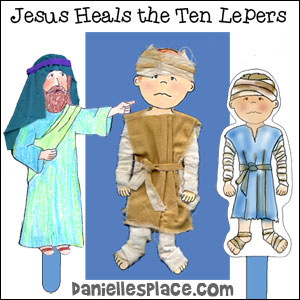 As a boy people all around would came to him and ask him for help when they had plants and trees that were not doing well. 1. Before class prepare small boxes for the children. On the front of the box write this quote from George Washington Carver "Look about you. Take hold of the things that are here. Let them talk to you. You learn to talk to them." And on the back write, "Never since have I been without this consciousness of the Creator speaking to me through flowers, rocks, animals, plants, and all other aspects of His creation." 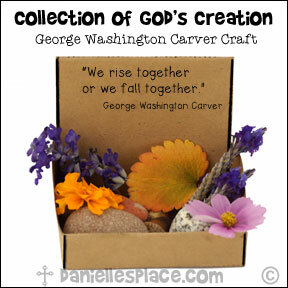 A pattern for this box with the quotes is available to members of The Resource Room. 2. Read the quotes written on the box and discuss them then take your children for a nature walk. Have them fill their box with a collection of items from nature. In class have the children take a closer look at the items they collected. You may want to provide them with magnifiers. Tell them to write down any questions they might have about the objects they have collected such as: Why does this leaf have little hairs on one side, or why is this rock smooth and this one pointy. Have the class give their ideas as to the answer to the questions. Tell them that George Washington Carver learned a lot by asking questions and doing experiments to answer his questions. 3. Children can also write about what they have learned from and observed about their objects when they took the time to really look at them in class. 1. Before class prepare small boxes for the children. 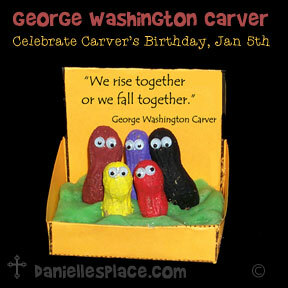 On the front of the box write this quote from George Washington Carver "We rise together or we fall together." And on the back write the complete quote, "We are brothers, all of us, no matter what race or color or condition; children of the same Heavenly Father. We rise together or we fall together." 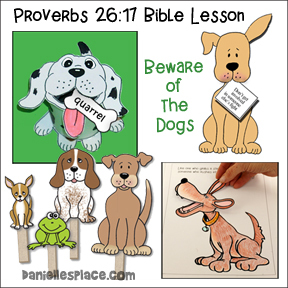 A pattern for this box with the quotes is available to members of The Resource Room. 2. Have your children paint peanuts different colors and then let them dry. Then glue tiny googly eyes to the peanuts. 3. Press play dough into the bottom of the box and then press the peanut people into the play dough. One day when George was just a boy he saw some beautiful paintings in a neighbor's house. He was so impressed he wanted to try to make his own painting, but he knew that the Carvers would never spend money on paints or canvas. This didn't stop George. He learned to make his own paints by crushing the petals of flowers, leaves, and berries. He didn't have a canvas so he painted on rocks. You can experiment making your own paint using things you have around the house. You can use spices such as red pepper, paprika, and turmeric. Also try berries such as strawberries and blueberries, or wild berries. If you have any pretty flowers around your house, pick off some of the petals and crush them up to see what color they produce. Keep each paint in a separate bottle and label them. 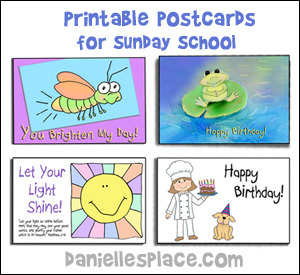 Once you have enough different colors try painting a picture. You can even use dried, pressed flowers and other things from nature to add to your picture. Make a sample page with a swatch of each different color you created. Make sure you label each swatch in case you want to create the same color again another time. George Washington Carver was called "The Peanut Man" because he developed 287 peanut by products, including food and beverages, soap, margarine, ink, paints, and dyes, livestock feed, cosmetics, and medicinal preparations. He even made things from the shells such as paper, fire wood, paving bricks, and building blocks. Divide your students into groups and give each group a bowl of peanuts (or paper peanuts). 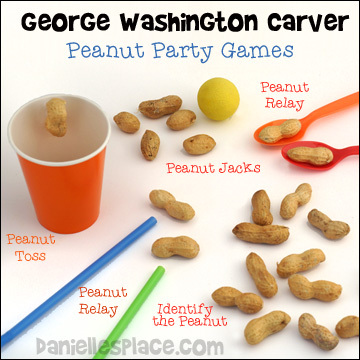 Give them twenty minutes to come up with games they can play with their peanuts using only materials found in your class such as scissors, paint, crayons, etc. Have each group write down the name of their game, the components, object of the game, and how to play on a sheet of paper. 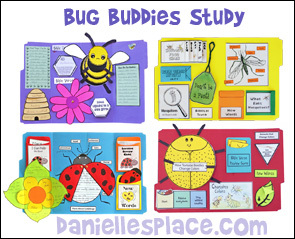 A peanut-Shaped book with fill-in pages for this craft is available to members only. You can give your children ideas by suggesting that the peanut can be pushed, tossed, hidden, rolled, handed from person to person, blown on, written on. They can make a number game, letter game, etc. Rules: Everyone leaves the room while someone hides the peanuts. On the word "Go" everyone tries to find as many peanuts as they can. The person who finds the most peanuts wins. Object of the game: To be the first person to pick up all five peanuts in one hand without dropping them. Components: Five small peanuts and a small ball. Rules: Play like Jacks, but use peanuts instead. Players take turns throwing up a ball grabbing peanuts in one hand and catching the ball with the same hand after it bounces on the table and before it bounces again. One player starts by picking up only one peanut at a time until all the peanuts have been picked up. If the player is successful in picking up all five of the peanuts one at a time and catching the ball, he continues his play by then picking up two peanuts at a time and catching the ball. His turn continues until he misses a peanut or doesn't catch the ball. The next player then tries to pick up peanuts and catch the ball until he makes a mistake. When everyone has had a turn the play goes back to the first player and he continues where he left off on the first round. The person who picks up all five peanuts and catches the ball wins. Object of the game: Be the first person to find the correct peanut. Components: About 20 peanuts and a marker. Rules: Players sit in a circle. One player places all the peanuts in a bag and then pulls one out, and passes it around the circle. 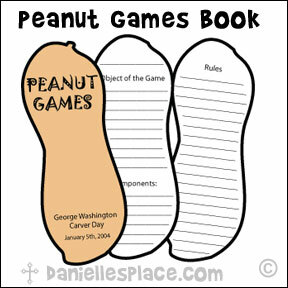 Each player studies the selected peanut and then passes it to the next player. When all the players have examined the peanut the first player places a dot on the selected peanut and places it back in the bag. Children turn around while the first player places all the peanuts in the center of the circle making sure the peanut with the dot on it is on the table with the dot facing down so that no player can see it. The first player then tells the other players to turn around try to find the peanut with the dot on it without touching the peanuts. The player that finds it first wins, and gets to select a peanut the next round. Object of the game: To be the person who gets the most peanuts in a cup. Components: Ten peanuts and a cup. Rules: One player at a time is throws all 10 of his peanuts into a cup from a certain predetermined distance marked on the floor. If the cup is knocked over at anytime the peanuts that are already in the cup do not count. Only the peanuts that are thrown into the cup after the cup is set upright can be counted. The player who gets the most peanuts in his cup wins. Object of the game: Be the first person to spell a three or more letter word. Components: Peanuts with letters written on them. 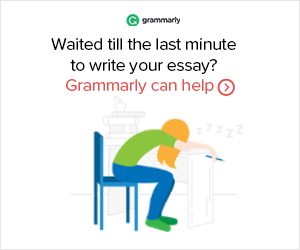 Make sure you use lots of vowels. Rules: Place on the peanuts in a bag or bowel. Player take turns picking a peanuts from the bag without looking at the peanut. 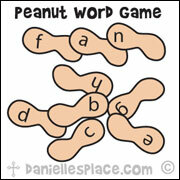 Players keep picking peanuts until one player spells out a three or more letter word. Object of the game: To be the first person to get his peanut across the finish line by blowing on it through a straw. Components: Peanuts and straws and tape to mark a finish line. Rules: Each player picks a straw and a peanut. On the word go the players blow on the peanuts through a straw. The first person to blow their peanut across the floor and over the finish line wins. Players can't touch their peanuts at anytime during the game. 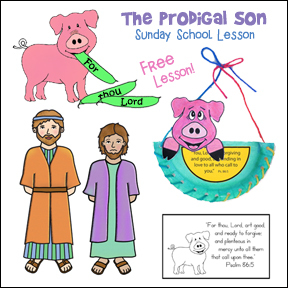 This lesson is available to members only on The Resource Room. 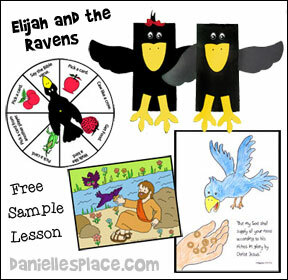 In this lesson children learn from George Washington Carver how God can use us for his glory if we put our trust in him and make him the center of our lives. Unshakable Faith - This is not a children's book but is an excellent source about Carver and Booker T. It not only goes in to great detail their lives, but explains how their faith in God directed their actions.